After a nearly three-decade-long war waged by radicalized Tamils, the last thing Sri Lanka needs is its Muslims to be radicalized. But something seems to have gone wrong with the revelation that a Sri Lankan Muslim was killed fighting for the ISIS in Syria and his brother-in-law also reportedly serving the terror group. Mohamed Muhsin Sharhaz Nilam (37) (known in the ISIS as Abu Shuraih Sailania), a karate instructor and a teacher in an international school at Galewela, Kurunegala was reportedly killed in an airstrike on July 12. Some sources say his brother-in-law, who posted the news of the death of Nilam on Facebook, is also a member of the Islamic terrorist group in Syria. His nom de guerree is Thauqeer Ahmed Thajudeen. Nilam’s entire familiy, including his pregnant wife, six children and the father have crossed over to ISIS-controlled territory in Syria from Turkey in December, last year. 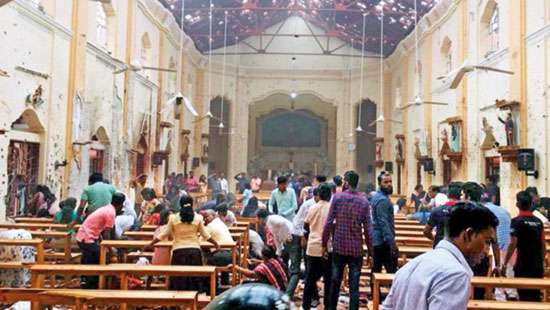 Also troubling is that the Sri Lankan intelligence services and police were oblivious to the fact that some Sri Lankans are members of the Islamic terrorists in Syria, until local gossip websites and media reported it. 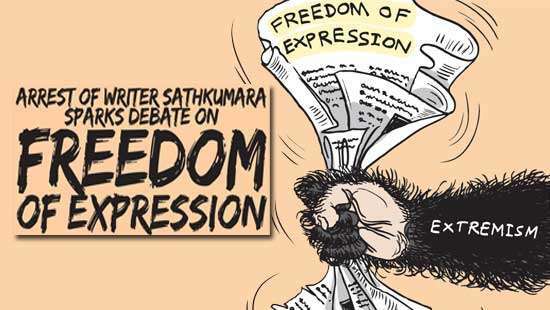 Obviously, local security agencies in the past deployed their resources to achieve what they considered as immediate domestic priorities such as sabotaging media freedom workshops and threatening Tamils who dared to meet visiting foreign envoys. Then, after the incident was reported, it took an unusually long time for the government to make a statement and to launch an investigation. Some local Muslim organizations were quicker to condemn the use of violence in the name of Islam. The All Ceylon Jamiyyathul Ulama (ACJU) and 12 other leading Islamic organizations called for measures to combat online radicalization of Muslim youth. 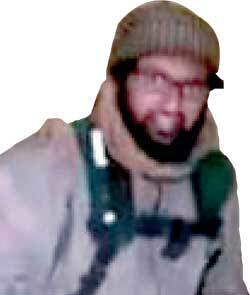 Nilam’s Facebook page before his joining the ISIS was full of pictures of his karate workshops. Later, it had been dedicated for ISIS propaganda and paying homage to dead terrorists. Perhaps the man did not have any enmity towards his motherland, in that sense, he differs from quite a number of European Muslims who have joined ranks with the Islamic State, and would one day return to blow up their home countries. However, those who would follow, and have already followed the footsteps of Nilam to Syria from Sri Lanka may not be that altruistic and would bring home war and carnage. Nilam posted pictures of dead terrorists, his fallen comrades, and his Facebook friends back in Sri Lanka ‘liked’ them. If anything, that denotes the increasing acceptability of ISIS and its blood-soaked doctrinaire Islam even by Sri Lankan Muslims. Local Muslim organizations are right when they call for measures to dissuade our youth being radicalized through social network sites. However, there would be a lesser leap towards this radicalized ideology if their communities unequivocally condemn violent jihad and teachings of an imported brand of Salafi Islam. Muslim youth will be better secured, if the Muslim organizations review the syllabus taught in Islamic schools that have mushroomed in recent times and keep a tab on what those young and old Maulavis who have returned from their Islamic education in Pakistan and the Middle East are preaching in their freshly minted mosques, built with funding from Gulf donors. These are the two key pathways of radicalization in Sri Lanka. And something is wrong there. Our knowledge of Islamic radicalization in Sri Lanka is limited because of the insular nature of those groups and their receptive audiences. In most cases, they stay in Kattankudy, the chock-a-block Eastern town, stay in Kattankudy, at least for the time being. But, perhaps you can observe the alarmingly high number of women confined themselves in the all encompassing garment, Burka in the East, to have an idea of the pervasive influence, the new austere variety of Islam is now wielding over the population there. Professor Amir Ali, an Islamic scholar and an academic at Murdoch University says Sri Lankan Muslims are self-alienating. Disturbingly though, that seems to be the case, at least among some segments; especially those in Muslim enclaves in the East. When an influential minority of the community seeks a unique religious identity by alienating themselves from the mainstream society, they are bound to seek solace in the stricter form of an alien variety of religion, that challenges their hitherto held local values. Several years back in Aluthgama, there were sectarian clashes among Muslims who were divided by this invasive ideology. Obviously, Muslim community leaders can do a lot as a moderating force on local Muslim youth. The best the government can do on the ideology front is to help and beef up those moderating voices within their communities. However, on the security front, it can do much more. Perhaps, keeping an eye on what is being taught and preached in new Islamic schools and mosques would prevent them from being taken by surprise one day in the future. 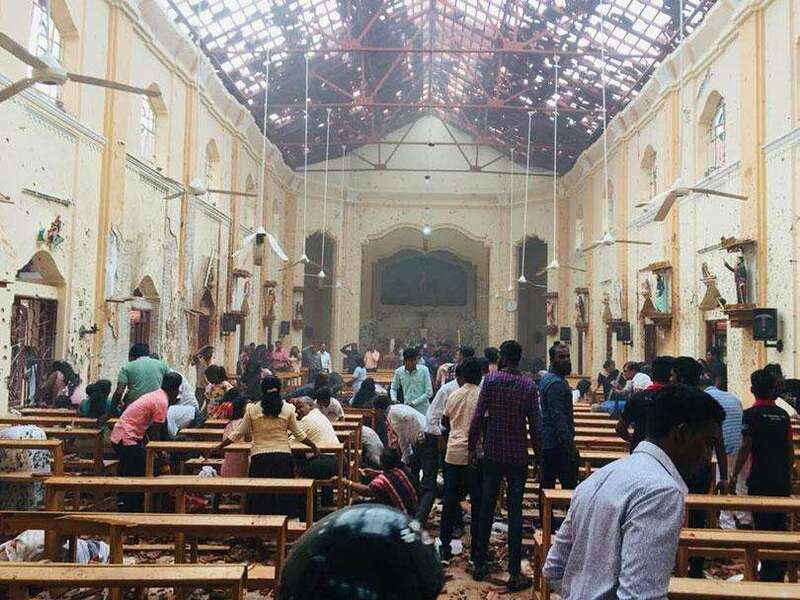 The problem in Sri Lanka is that a discussion about Islamic radicalization is considered politically incorrect, more so during the election period. Therefore, the danger is that the government would consider the recent incident as an isolated incident, taking comfort in a false premise. That would be proven wrong. What we are witnessing are the local implications of a wider- worldwide Islamic radicalization. Earlier, Al-Qaeda was the torchbearer of the violent Salafi ideology, and has now been overtaken by ISIS with the help of zealots, who are thrilled by its display of untrammelled brutality. (This reminds me of the LTTE’s taking predominance over all other Tamil militant groups, thanks to Tamils awed by its violent streak). Take for instance the rise of Islamic fundamentalism in the West. The first attacks such as the July 7 bombing and aborted ones (bombing of Philippine airline flight in 1994) were carried out by individuals who were either returning from Islamic countries, (again, Pakistan being a main destination), and who had links to Al Qaeda. Then the preachers in local mosques (Anjan Chaudary, Abu Hamza al-Masri, Anwar-al-Awlaki, etc) spewed extremism freely, exploiting the liberal laws of their host countries and groomed a new generation of Islamic extremists. Those new recruits were sent to decapitate soldiers in broad daylight, massacred journalists such as Charlie Hebdo and left en masse for Syria to fight ISIS. That some segments of their communities were receptive towards this violent ideology had a dent on the government’s counter-radicalization efforts. That explains the rise of radical Islam in Europe (Anwar-al-Awlaki, the terrorist preacher who was hosted by the Muslim Association of Britain on a lecture tour in 2003). When the wheels of radicalization are set in motion, it takes a life of its own. Sri Lanka should take lessons from those international failures. Obviously, something has been building up in our midst during the past 15 years, since the arrival of this new variant on the wake of Al-Qaeda led global jihad. 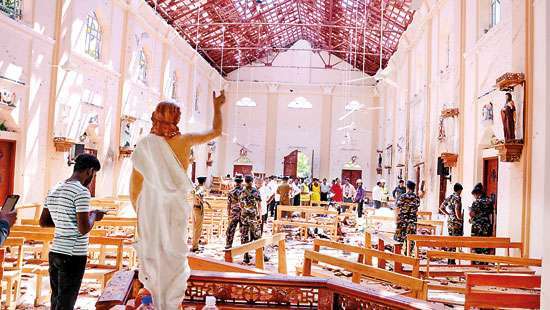 The government and all political parties, most importantly Muslim ones, should confront this violent radical variant of Islam, and tell local communities the self evident truth that it is contravening the traditional values of moderate Sri Lankan Islam. However, in the name of confronting it, the government should not mishandle the situation, adding impetus to radicalization. However, if it fails, someone else, be it the rabble-rousing BBS or a Muslim politico, would exploit an already uneasy situation to advance their vested interests. Results would not be nice.